The Durametric Diagnostic Tool for Porsche was created for independent repair shops and private owners alike. It provides access to the many Porsche control units for maintenance and troubleshooting information. The tool helps you read Porsche’s diagnostic codes with user-friendly descriptions, part numbers, and over-rev data; can activate drive links and capture actual values; resets the service reminder on cars that support them and can clear the warning indicators of most systems. The diagnostic tool is easy to use. Simply load the software on your Windows computer and connect the cable between the computer and car. Start the program, select your model, and the program will begin communicating with the car. The Durametric Diagnostic Tool is backed by a 30-day money-back guarantee, 6-month warranty on hardware, and free software upgrades as long as you own the tool. 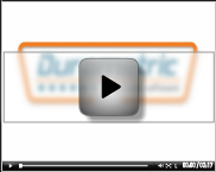 Durametric technical support provides FAQs, common car-related tips, and tool reference materials. View our videos to learn more. Click here to learn more about the history of Porsche diagnostic tools. Looking for BMW or Mini support? See Bavarian Technic. Our product is a hardware and software tool that plugs into your Windows PC's USB port. Once plugged into the car the software is capable of reading and resetting the different modules in the car. Please look at our online demonstration to see how it works. Can it really turn off my airbag light? YES! Not only can the system turn off the airbag light but it can tell you why it is on in the first place. If you are not satisfied with our product for any reason you may return the tool to us within 30 day for a full refund (less shipping costs).